These delicious Sweet and Sticky Honey Garlic Chicken Wings are the best ever. Even though they're baked, not fried, they're super crispy. They make the perfect party appetizer or even an easy dinner recipe. You will love them! And on and on it went. No lie. All I heard for the next 10 minutes were grunts, moans, slurps and excessive use of superlatives. In the end, all that was left were the cleanest bones you've ever seen. I almost posted a picture of the so-clean-they-looked-fake bones, but luckily for all of us I came to my senses and realized you probably don't want to see a picture of my food scraps. What was I thinking? I must have been experiencing a little honey garlic chicken wings delirium. They're super crispy, even though they're BAKED. Say whaaaa? Yep, you heard that right. Crispy. Baked. Oh ya. They're smothered in the most delicious sweet, garlicky sauce there ever has been. Ever. Ya, baby! 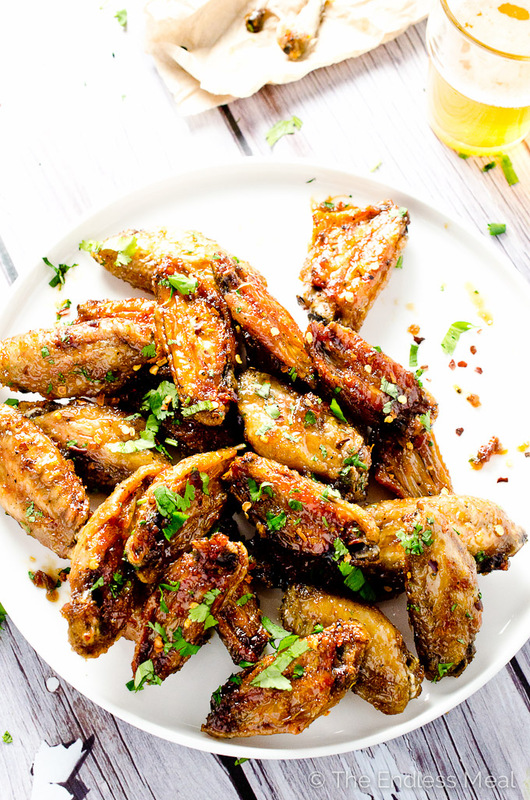 Crispy wings + delicious sauce = best honey garlic chicken wings EVER! Turn the oven to 400 degrees. You want it hot, but not so hot it will burn the wings. Coat them with oil. I know that the skin is full of fat, but don't skip this step. Fat renders fat. You need the fat in the skin to ‘melt' so that the skin turns crispy. 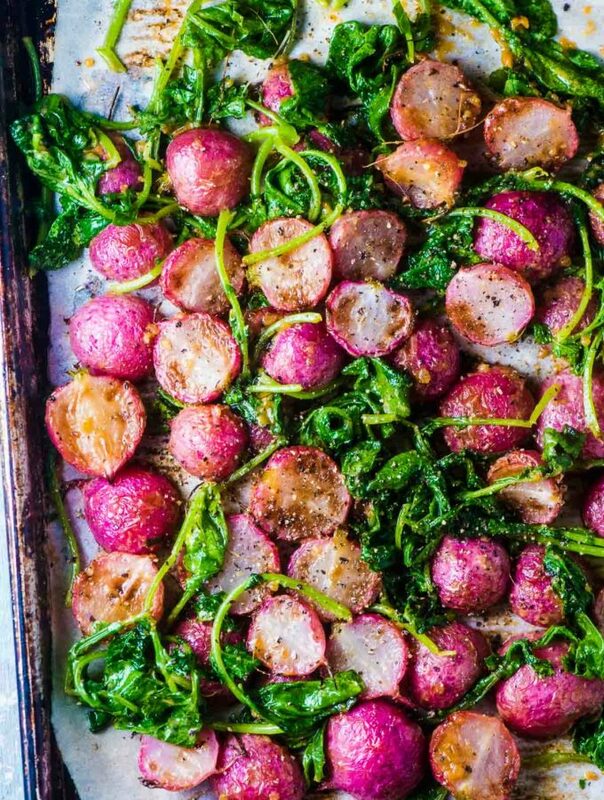 Keep these in the oven until they're nice and crispy. Don't worry about overcooking the chicken, it will be amazing. Preheat the oven to 400 degrees. Line a baking tray with parchment paper. 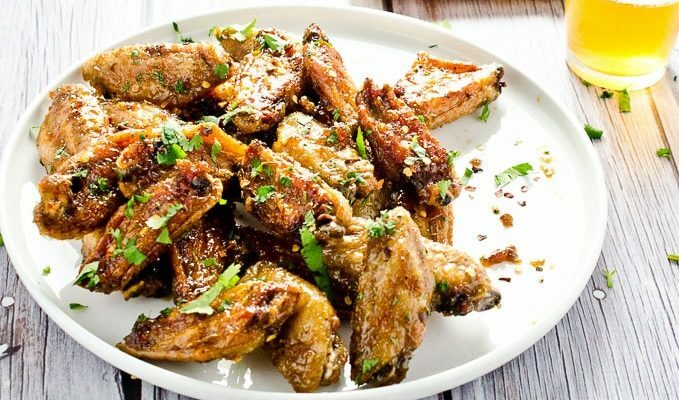 Place the chicken wings in a large bowl and toss them with the 1 teaspoon of sesame oil, sea salt, and pepper. Place them on the prepared baking tray and put them in the oven for 35-40 minutes, or until they are crispy. While the chicken wings are baking, make the glaze. Add all the glaze ingredients to a small frying pan over medium-high heat. Boil rapidly for 3-4 minutes, or until the glaze has reduced to 1/3 cup. Remove from the heat. Once the chicken wings are crispy remove them from the oven and toss them with the glaze. Sprinkle some cilantro and toasted sesame seeds over top and serve immediately. The absolute BEST honey garlic wings I’ve ever had. We did them on the barbecue instead of the oven and they were crunchy with a sticky coating over the top and perfect! I’m so happy to hear they were a hit! Which side should I bake the wings on? skin side down or skin side up? Is flipping the wings not necessary halfway through? I am so excited to try these, especially because they are baked! I don’t have parchment paper so could I use aluminium foil instead? You’ve got some Great Recipes there that look Spectacular! I’m going to Bookmark you so I can visit you again. Your enthusiasm is infections! Keep it up, for I love it!!! I’m going to try your Chicken Wings when I get some from the store! I cant wait! Oh. My. Gosh. I died and went to wing heaven!! This were INCREDIBLE. Thanks so much!! These wings are delicious. Have you ever froze them so that you have some on hand for unexpected company? I haven’t but I suspect they would work well. If you give it a try can you let me know? I’d love to find out! I rarely comment on recipes, but I made these last night and they genuinely are as good as I’ve ever made or eaten, as everyone around the table agreed. Baking the wings on parchment paper is the key to this recipe, but the glaze is also perfect … perfectly balanced flavours AND perfectly quick and simple. A keeper for sure!. I’m defrosting the wings right now (I think there are 24 in there). Does that make about 2 lbs? I don’t have a scale and do not want to mess up the sauce to wing ratio. Yep … that sounds about right! 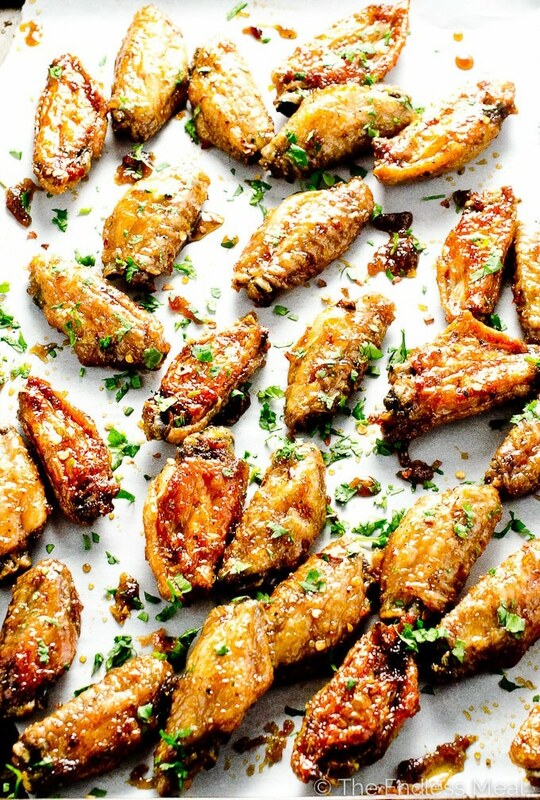 These will be my new go to recipe for wings. So simple and scrumptious. Who needs to pay $10 for 5 wings ever again? Hahaha right? I totally feel the same! Loved the flavor! Had trouble getting them crunchy!! They were sitting in the chicken fat, and I had to broil them to get one side crunchy. Will try a different method next time. I air fried the wings. Talk about crispy! WE loved these. The glaze is wonderful. The wings stayed crispy and made great leftovers for lunch. Making these again tonight. These are so delicious! My son naturally eats a lot, he’s six. This boy ate 7 of these! I made them exactly as directed, and oh my yum! I’m so happy to hear these were a hit! Hooray!! OMG!!!! Delicious!!! The Best Honey Garlic Wings Ever!!!!! Including restaurants!!! Crispy, Chewy, Sticky!!!!! Simple amazing recipe; Love it!!! I used maple syrup cuz I didn’t have honey. I also doubled the garlic and ginger cuz there my Fav spices. Outcome … i also used a wire rack vs parchment paper. I’ll be making these monthly I’m sure. I’m so happy to hear you like these!! Hooray!! Hi, thanks for this recipe. My family has really enjoyed these wings, my 2.5 yr old son especially loves the honey garlic sauce. At first I was a bit disappointed to have an extra step in reducing the sauce (and an extra dish to wash), but it is totally worth it. It also keeps the wings really hot. 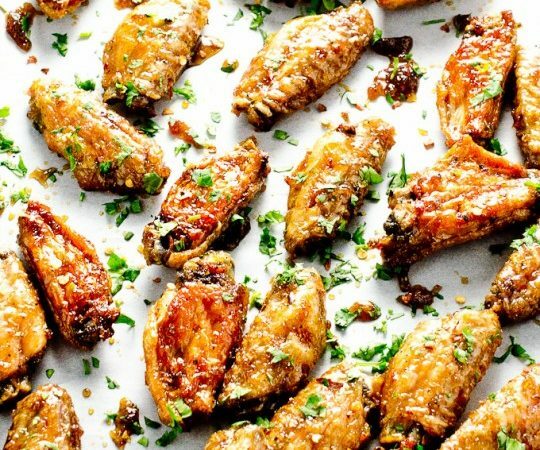 One addition that I’d suggest to make these even better is to add a tiny bit of baking powder to coat the chicken wings before putting it in the oven. It really makes them crispy. 1 tbsp per kg max. And make sure it’s baking powder – not soda. I haven’t tried the baking powder trick before, but you’ve convinced me to give it a go next time I make wings! I don’t like ginger and I don’t have any sesame oil can I still make it ? Would it still turn out good? Hey! These look great, my husband’s favorite at restaurants and I wanna make him some this weekend 🙂 which kind of soy did you use? Mushroom or dipping (Chinese or Japanese?) also will the flavor be compromised if I opt out of ginger? Thanks! I used Kikkoman’s (Japanese) soy sauce in the recipe. If you’re not a fan of ginger do leave it out. It will still be delicious! 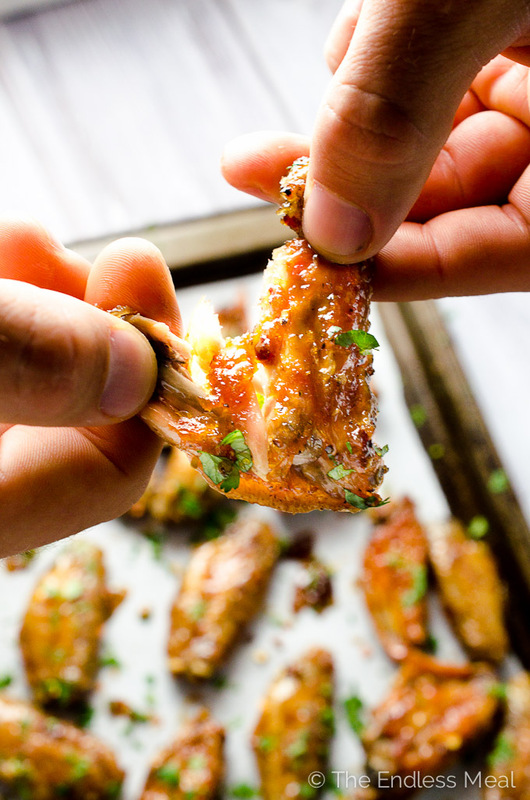 OH MY…I’ve never made chicken wings before and I have now made these twice (and will make them many more times again). They are FINGER-LICKIN’ GOOD. Thank you!!! Do you have a similar recipe for bbq flavour? I’m planning another wing recipe for the end of the month, too. Keep an eye out for it! I’m really excited to make this, but the only chicken wings I could buy were frozen. The package says they can be baked without thawing first. Do you think this is okay or would you recommend thawing first for extra crispy goodness? Thanks. First of all thanks a ton for such an easy, non-complicated and wonderful recipe! I made this last night and it was sure-shot winner! This would be a regular from now on at our home. 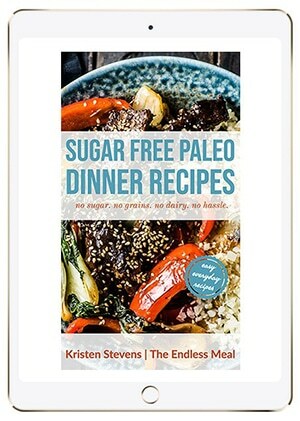 Hi Kristen- it’s always great to encounter another Vancouverite while browing recipes online! These wings were perfect. I love baked wings so much, it’s hard to believe I ever thought frying was necessary. Hi Finn! It’s so nice to ‘meet’ you! I’ve been on your blog before and totally love it. I actually assumed you were from Portland, partly because of the Port part of your name, and partly because your blog oozes Portland coolness. These look amazing! Could I use the same process with chicken tenders and have the same result? You could always bake the tenders just until they’re cooked through then toss them in the same honey garlic sauce. It wouldn’t be quite the same but I bet it would still be delicious. Made these last night. Oh my!!!!!!!!!!!! I never knew I could get wings that crispy without frying. Is one of the many delecious things about these wings. I didnt even want to share. I had to make myself stop eating them. Whoa these are some of the best wings I have ever had. Thank you so much for your comment! I’m so happy to hear you loved then as much as I do!!! These wings look sensational! I wouldn’t be able to stop myself from eating all of it. The skin looks so crispy and I’m loving the sticky sauce. Thanks, Thao! They really are crazy delicious. ? I love wings! Especially if they are super garlicky and loaded with sauce. Love that you baked these Kristen! Me too! I can never help myself from over indulging when chicken wings are on the menu. ? Kristen, these wings making me drool, BIG time! I wonder, how can I resist not trying them!!! My weakness is sweet wings, and these are absolute perfection! These look unbelievably amazing! How do you think they would turn out if they were smoked first? I made some smoked wings for superbowl and they were great, but I would definitely try your sticky honey version next time. 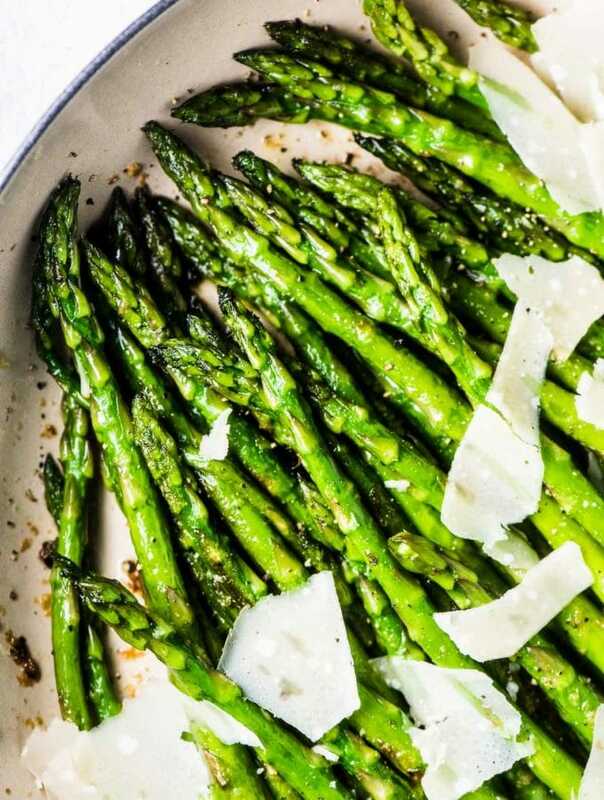 Crispy, sticky, and garlic…YES! They look perfect!